Each condition plays an important role in manifesting. They do not always happen in a specific order. When the conditions are in alignment, manifestation occurs simultaneously. The audiobook demystifies the concepts of manifesting and attracting. It helps you understand in no uncertain terms the practical personal development work that is a requirement to attract success. Included are mental techniques and strategies to develop yourself into a person who has the kind of manifesting power. You are already using Law of Attraction, yet do not know exactly the hows and whys of the results you have. Victoria does a splendid job of breaking down Law of Attraction into its constituent pieces and how each piece works. She gives you concise actions and plans to move forward to using LOA. 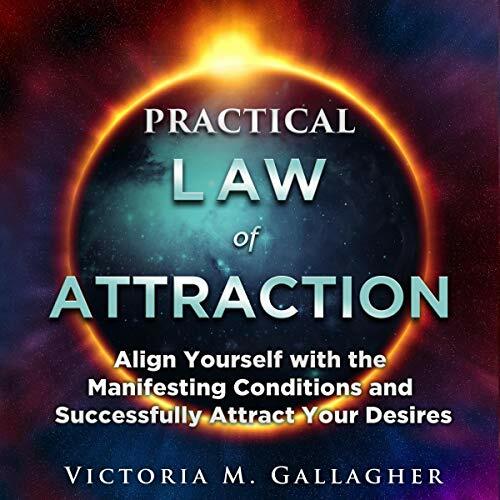 If you have struggled with LOA, or desire to amplify your LOA results, this is a Must Listen and/or Read!